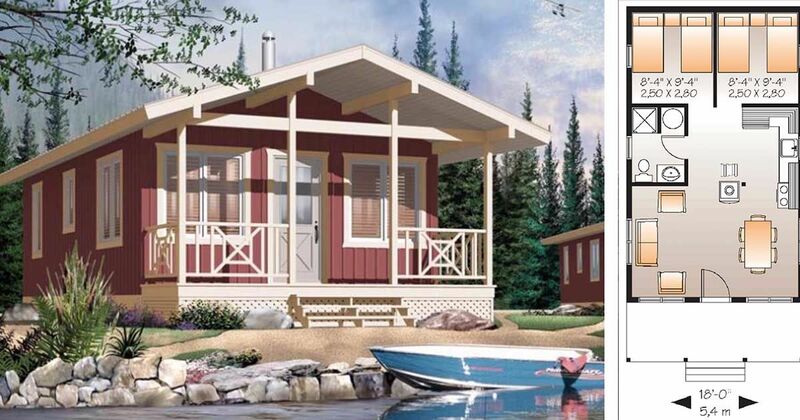 If you're looking for the perfect family beach home, look no further than the plans below! They all have front-facing windows to take advantage of the beautiful view, and most have porches so that you can enjoy the fresh air. 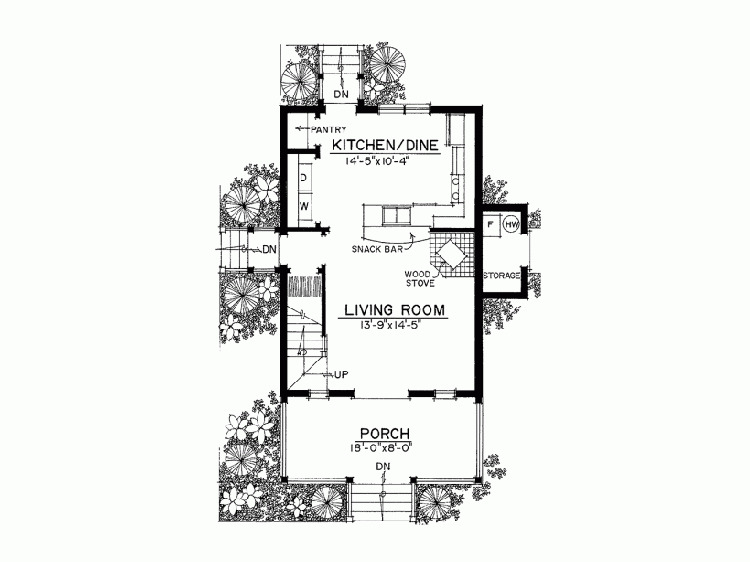 Thanks to their two bedrooms, each of these homes has plenty of space for the entire family. It's certainly difficult to pick a favorite, isn't it? Let's take a look. 1. 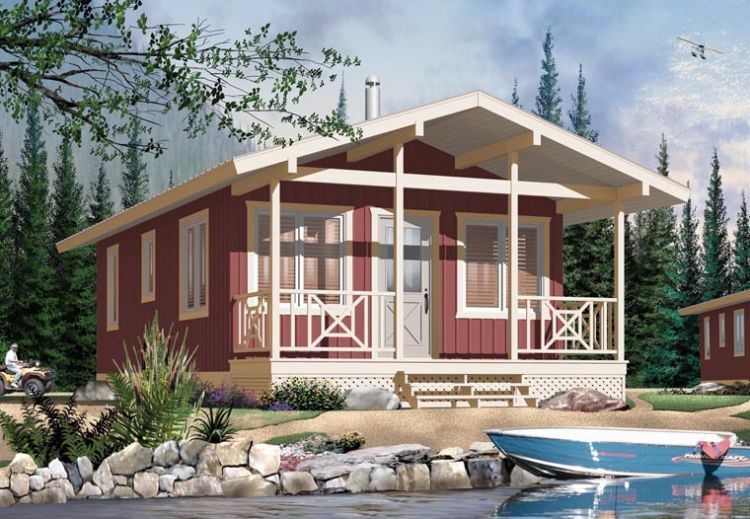 Cheerful Craftsman from ePlans. 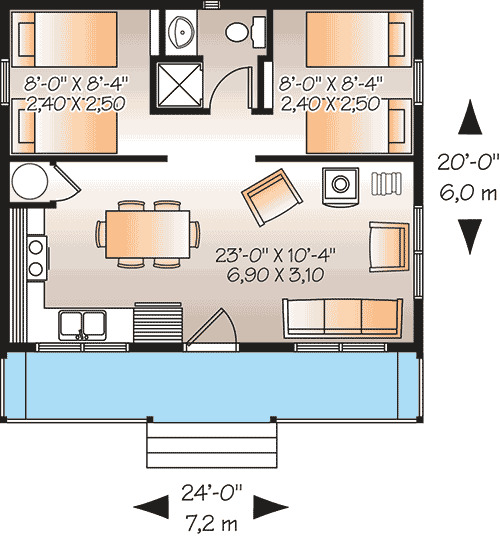 This cheerful home from ePlans measures 874 square feet (81 square meters), and has plenty of windows at the front. The front door opens right into the eat-in kitchen, which is separated from the living room by a large wood stove. The home can also be entered through the back door, where there is a large coat closet. 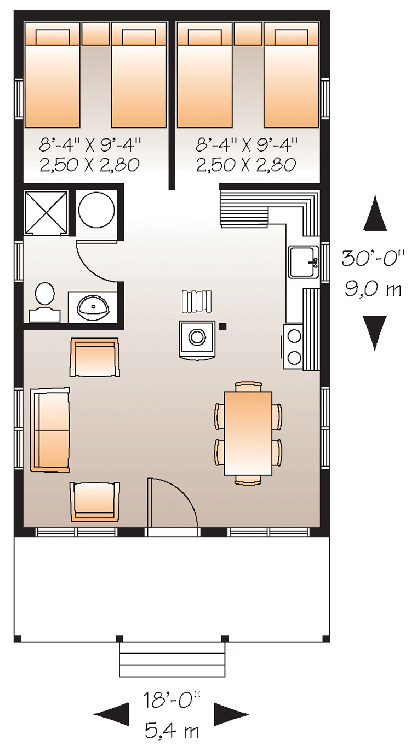 The two bedrooms are found in each back corner, and both are fairly spacious. The bedrooms share access to a bathroom with a tub. 2. 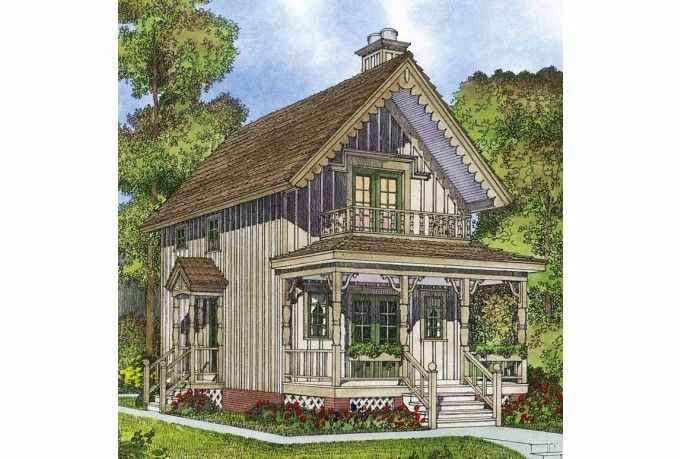 Tiny cottage with plenty of curb appeal from Family Home Plans. 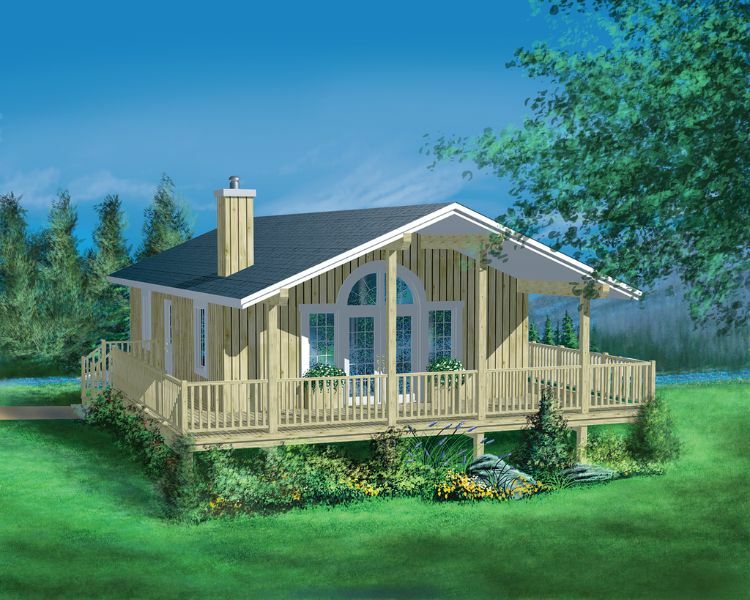 This charming little design from Family Home Plans measures 540 square feet (50 square meters). Step through the front door and into the main living space, where the living room is off to the left and the dining area is off to the right. The L-shaped kitchen is found directly behind the dining area, and the bathroom is directly opposite the kitchen. A cozy wood stove takes center stage in the middle of this area. The sleeping quarters are found at the back of the home, where two bedrooms can each hold two single beds. 3. 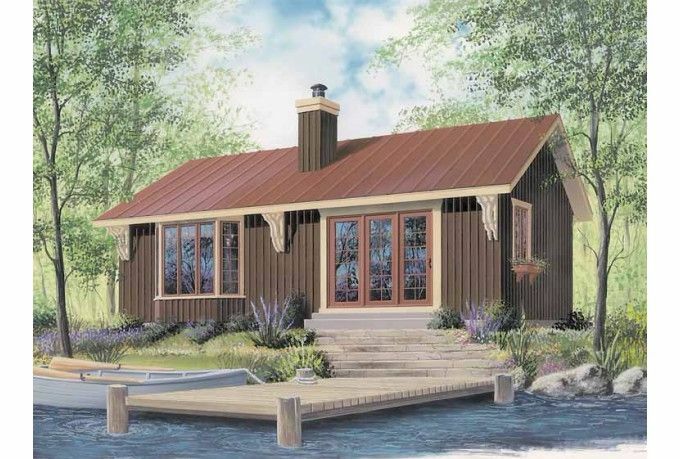 Traditional design with pier foundation from Houseplans. 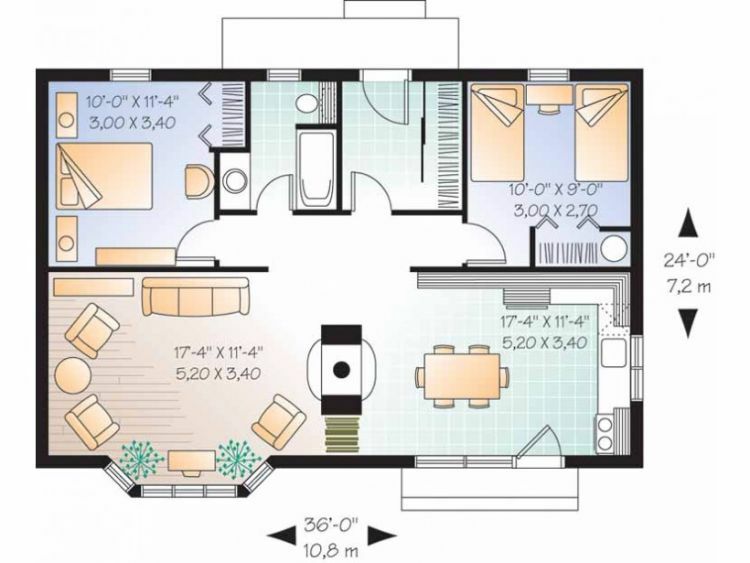 This floor plan from Houseplans comes in at 856 square feet (80 square meters) and features two drive-under parking spaces. A flight of stairs leads up to the front door, which opens into the living room. The eat-in kitchen is located right behind the living room, and it has a back door that leads out to a small second porch. 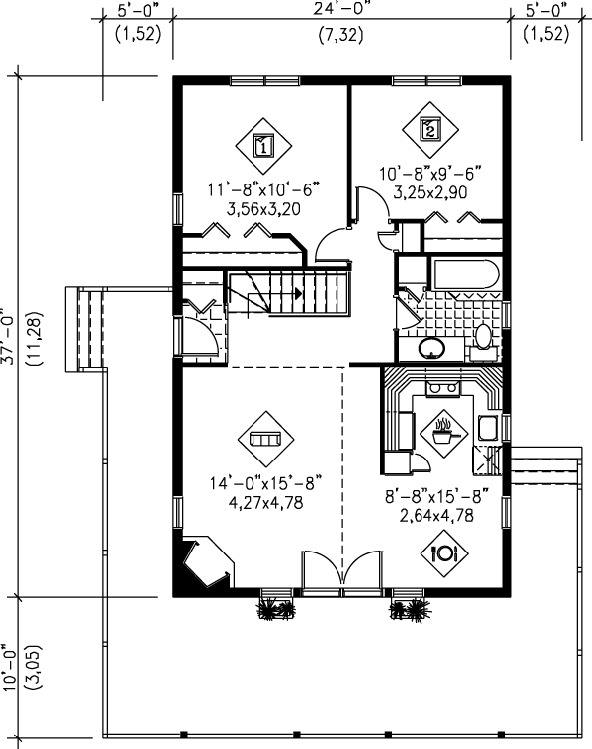 Two bedrooms and a bathroom with a tub are on the left-hand side of the home, and there is a sizable storage closet here as well. 4. 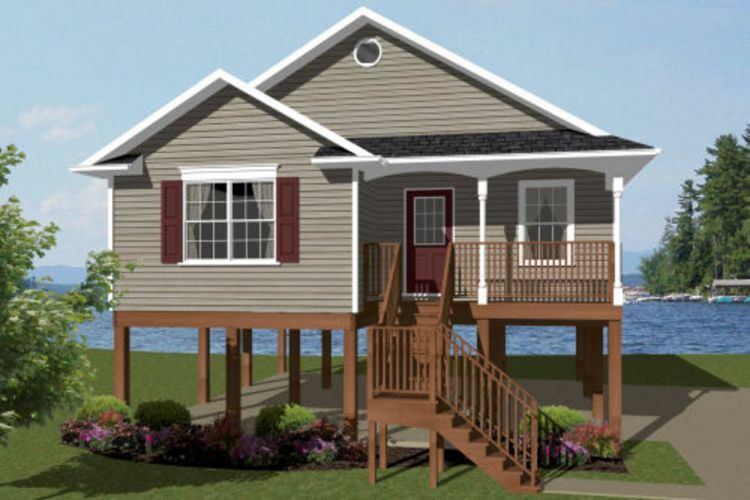 Two-story home from ePlans. At a relatively spacious 944 square feet (88 square meters), this home from ePlans is designed with the shared living space downstairs and the bedrooms upstairs. 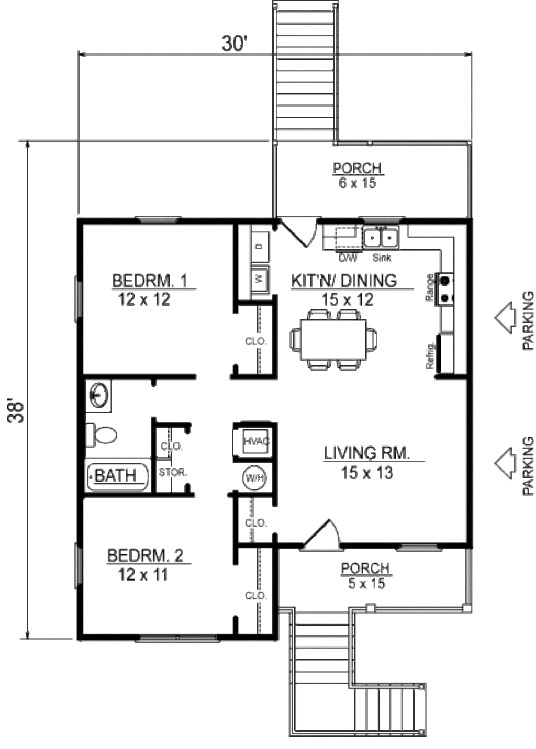 The front portion of the first floor is taken up by the living room, and the kitchen is at the back. It features an eating bar, and the laundry closet is here as well. Upstairs there are two bedrooms, one of which has a walk-in closet. There is a bathroom with a tub on this floor as well. 5. Well-lit home with wraparound deck from Houseplans. 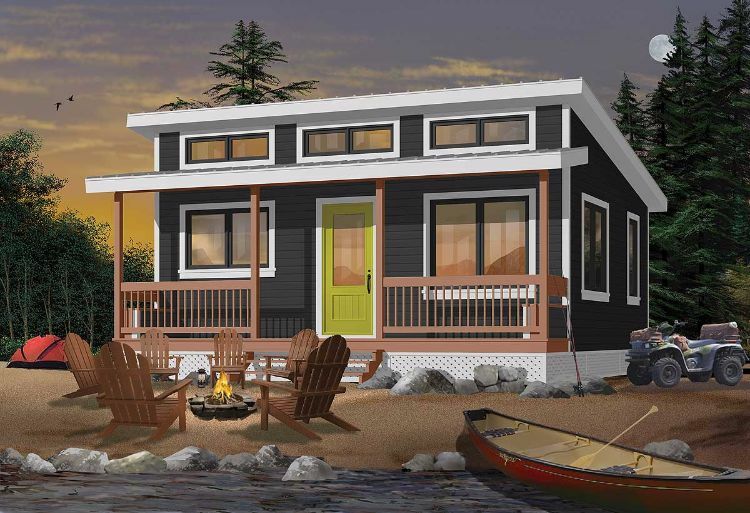 This design from Houseplans comes in at 888 square feet (83 square meters) and features a lovely wraparound deck at the front. Double doors open into the open concept living room, kitchen, and dining room. A fireplace is in the front left corner of the living room, and a hallway off this space leads to the private living area. 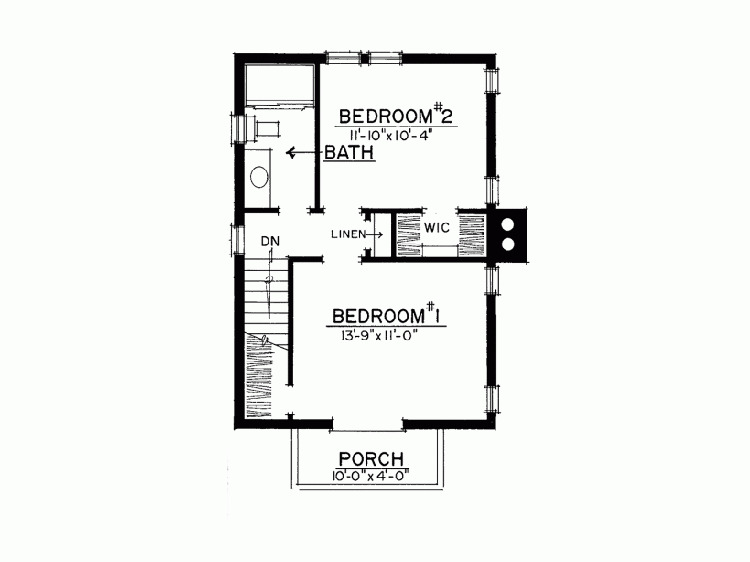 Here, two bedrooms share access to a bathroom with both a tub and a shower. 6. Tiny design with L-shaped kitchen from Architectural Designs. With two bedrooms in only 480 square feet (45 square meters), this home from Architectural Designs has just enough room for the essentials. The front door opens into the main living area, which has an eat-in kitchen on the left and a living room area on the right. A small hallway off this space leads to two bedrooms and a bathroom with a shower; each bedroom has space for two single beds.